To create a new channel, start in the team list. Find the team name and click More options > Add channel. 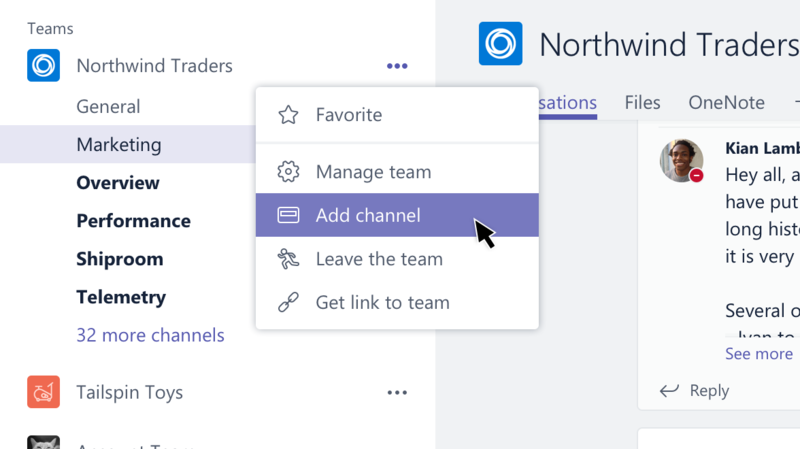 You can also click Manage team, and add a channel in the Channels tab. You can create up to 200 channels over the life of a team. That number includes channels you create and later delete. Tap Teams , go to the team name, and tap More options > View channels. Then choose Add in the header and enter a name and description. Tap Teams , go to the team name, and tap More options > Manage channels. Then choose Add and enter a name and description.